Vacation Rental Listing 2 bed 2 bath in Fort Myers Beach, FL. STR REG. 19-0425. A nice quiet, relaxing vacation condo across from beaches. str reg. 19-0425. a nice quiet, relaxing vacation condo across from beaches. Islands End Is Incredible! Knock-Out BAY VIEWS! Dolphins frolicking just outside your window? Yes! You won't want to leave this spacious unit after you see the views. Furnished impeccably. 2 Bedrooms Plus a Den that is set up as a third bedroom! Kitchen has all been redone with new cabinets and corian counters. Custom mirrors in the LR w/ Berber carpet. Recessed lighting. Electric storm shutters. Bathrooms all redone in custom tile and granite. Perfect tennis court and heated pool. 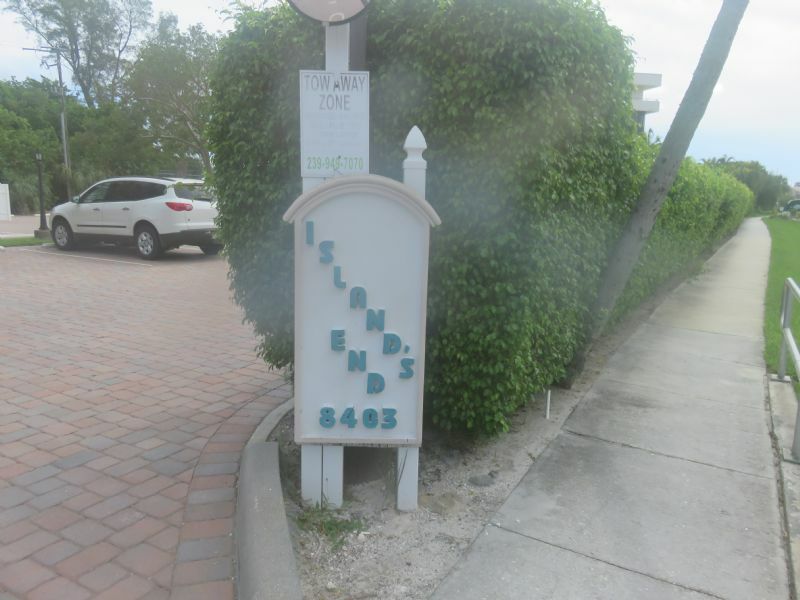 This is the last building on your left before you leave Ft. Myers Beach on the south end, so it has wonderful privacy and quick access to Bonita and Naples. STR REG. 19-0425.